Hi there, thanks for admins for accepted me join this forum. Welcome to DBF jirendy! I'm not sure if we have any other members from Indonesia. I'd love to see your collection of DBZ figures! Welcome! How did you learn about the forum. Do you have other friends in Indonesia that are members? Welcome to DBF jirendy ! I'm not sure if we have any other members from Indonesia. I'd love to see your collection of DBZ figures! 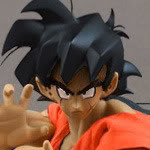 Thanks doomprevails88 , im just started to collect dragonball figures...and i found this forum at google. You can vote there, by what I saw you're the only one from Indonesia. Nice to see ya! You can tell who my favorite character is. Great to have you! Thanks man, i will vote it later. Nice to see u too... Hmm i like most of all character like Goku, Vegeta, Bardock, Black, Jiren, Broly, Trunks, Android 18...and many more . How about you?